With over 25 years experience as a financial professional, Mike joined Spectrum in 2013 as an Executive Vice President. His responsibilities include financial planning, investment counseling and working with clients to safeguard their financial future. Prior to merging his firm with Spectrum, Mike founded and served as President of Ottman Financial Group, Inc., an independent advisory firm. Mike founded the firm on the principles of independent, unbiased financial counseling and investment management, assisting clients with their financial planning and wealth management needs. 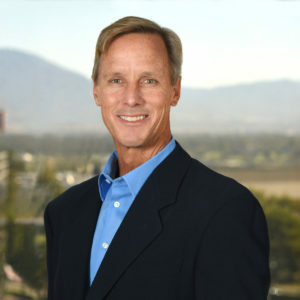 Mike earned his Bachelor’s degree in Business Administration, Finance from California State University, Long Beach in 1986 and also received the Certified Financial Planner designation from the College for Financial Planning in 1994. Mike grew up in Orange County, CA and now lives with his wife Jodi and their two boys in Maui. He enjoys water time, spending time with his family, and giving back locally including serving on the Board for Surfrider Foundation’s Maui Chapter.